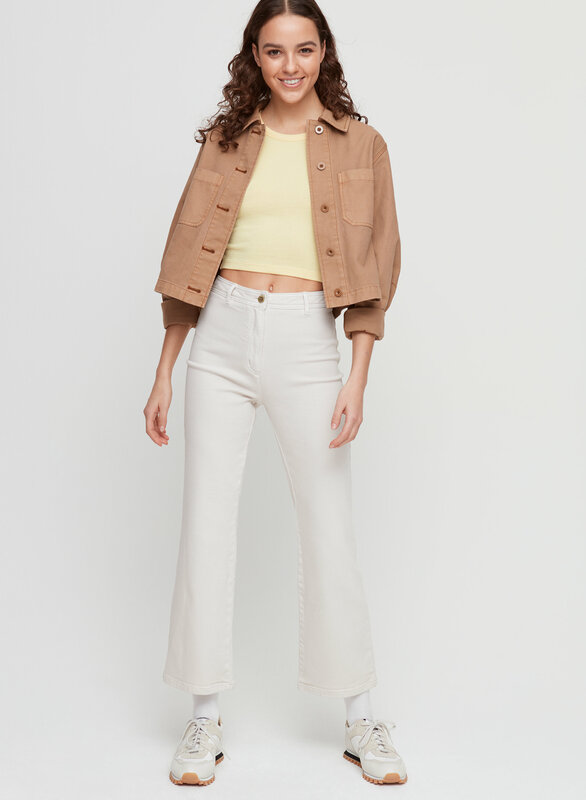 Styled with sabrina jacket and lizzie pant . It's either magic, or the perfect amount of flattering stretch. 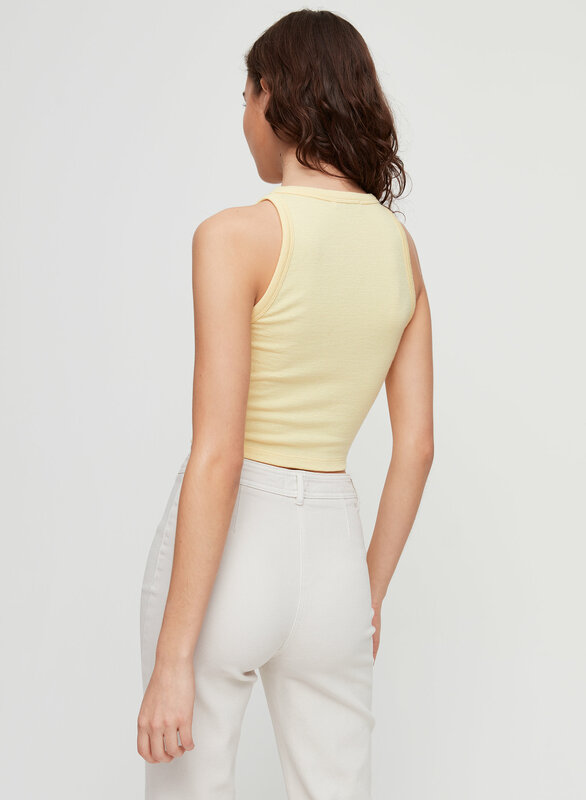 This is a classic cropped sleeveless t-shirt, made from Wilfred Free's signature fabric, Reposa™ — a luxe, ultra-comfortable stretch jersey. 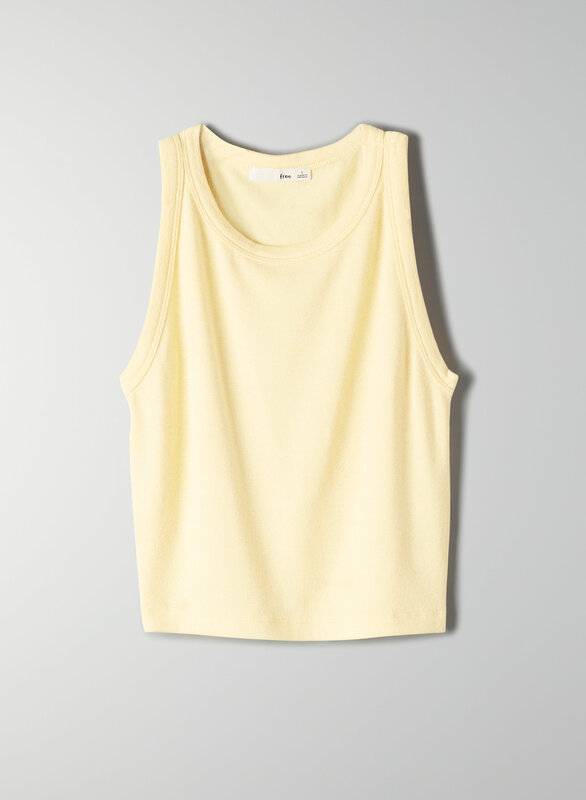 As with all Reposa items from Aritzia, this top is no exception in the softness department. So comfy! Fit-wise, I have a short-ish torso, so the tank is actually a bit long on me; otherwise true to size (for me, XS). The weather hasn't warmed up enough yet for me to have worn it more than once, so for now, I'm giving it 3 stars.